Available 24/7 - Call (888) 979-4941 for a FREE Consultation! At Legally Pink Law, our team of attorneys and licensed insurance adjusters realize that your personal injury claim isn't just a case, it's your life. The aftermath of a serious accident can leave you devastated and uncertain how you are going to be able to cover the financial costs of your injury. When selecting an attorney to hold the parties responsible for the damages they caused, you have a right to know how well they are able to defend your best interests. What are their qualifications? What drives them? How can they help? Our team of dedicated Orlando personal injury lawyers has personally handled thousands of cases throughout Florida. At Legally Pink Law, our small client to attorney ratio allows us to provide the diligent attention to detail that has recovered millions of dollars on behalf of our clients. We invite you to learn a little more about our team so you can feel confident in your choice of legal counsel. Injured in a serious accident? Legally Pink Law can help. Call today! 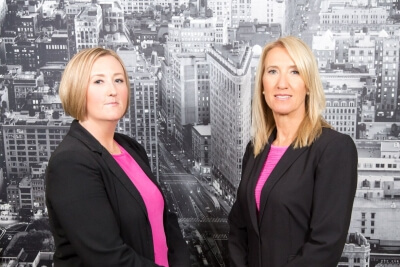 At Legally Pink Law, we take a personal approach to injury law. All of our clients receive on-on-one attention throughout every stage of their case, including the personal cell number of their attorney. We are available 24/7 to address your emergency needs and concerns promptly. Our experienced Orlando personal injury lawyers work on a contingency fee basis, which means you will not be charged fees unless we win. We would welcome the chance to speak with your directly, hear your story, and describe in detail how we may be able to help you achieve the compensation you deserve. Contact our firm today to request a complimentary case consultation.